Typically when you hear any form of the word “hack,” you immediately think of Internet trolls that are doing whatever they can to get your personal information or damage your reputation. 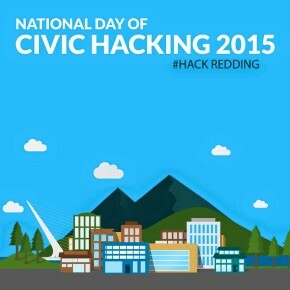 However, during the National Day of Civic Hacking that took place this past Saturday, many local entrepreneurs, tech companies, investors and educators came together to hack Redding for a change in the right direction. Gathering at the Shasta Venture Hub, which is an incubator space expected to open later this year and is designed to help cultivate start-up companies, organizers Matt Morgan of Optimize Worldwide and Hope Seth from the Shasta EDC, along with Brandi Greene, Justin Babb and Eric Casequin, put together an event focused on attracting and maintaining start-up businesses in the Redding area. This was also the perfect time to make some much-needed additions to the official Redding Wikipedia page and provide a resource guide for those looking to turn their business ideas into reality in Shasta County. This guide can be found on StartupShasta.com, a website that was built as part of the day’s activities to specifically host these resources. For more information, Redding.com subscribers can read the full write-up on the event here. Are You Guilty of Committing Any of These Mobile-Friendly Mistakes? Google is About to Find Out.